Nurses may need to resign, and for that they would definitely have to write a letter of resignation. 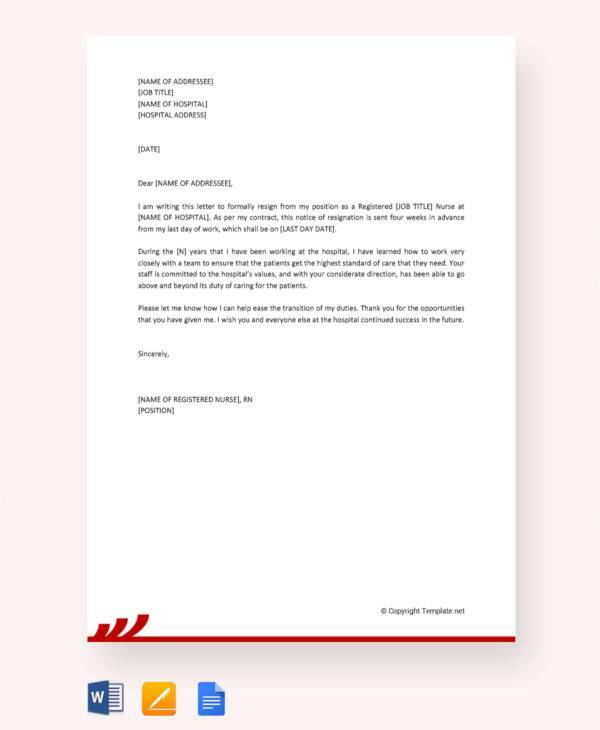 Now, this writing is normally intended to be written in a formal style, and this special formal standard resignation letter format may not be easy for all to write. Nurses, who have been into this profession for a lot of time, may not be into a habit of writing letters, etc and while writing a formal letter of resignation may face problems in deciding the format. The samples are thus made available online for help. 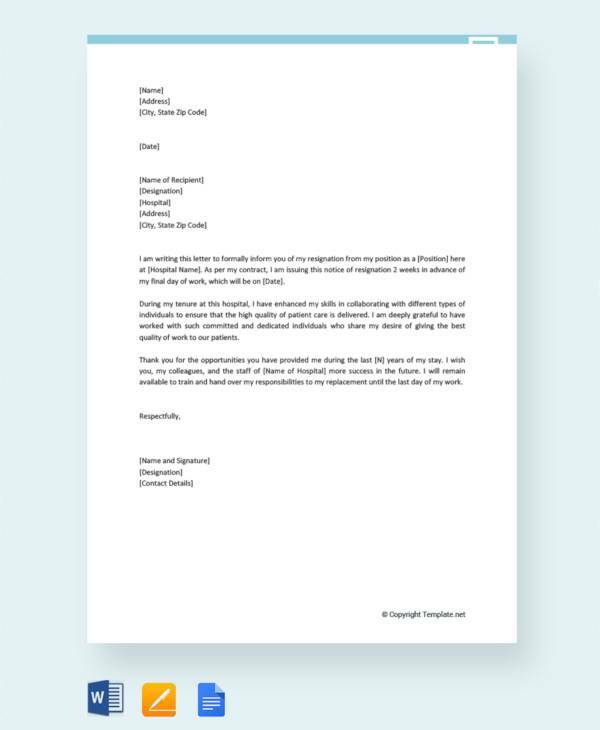 Even Email Resignation Letter sample styles are available. 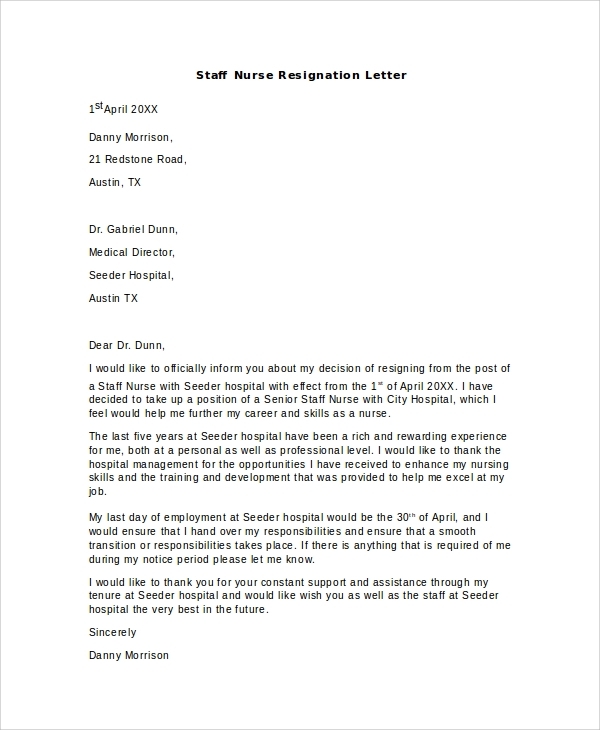 This format of resignation letters would be needed by the nursing assistant when she wants to resign. 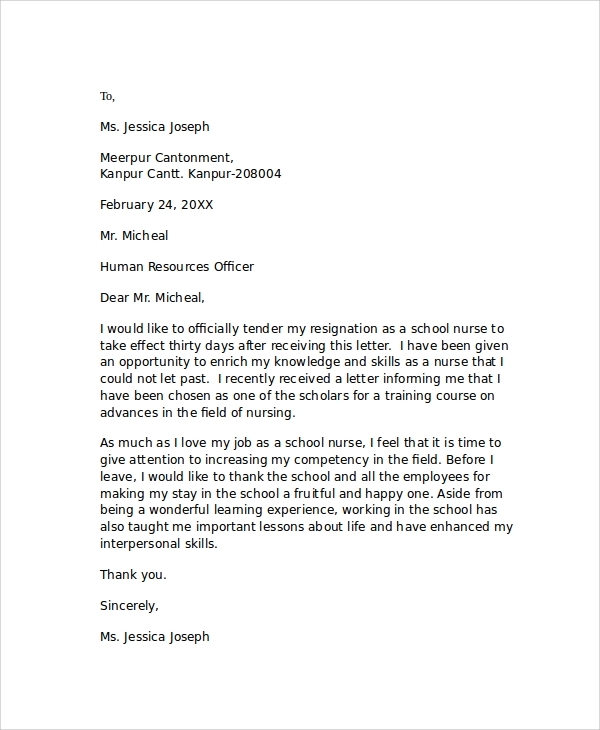 The letter has been made with a subject line suitable for the nursing assistant, and any person serving that job role will be able to resign using this letter template without making many major changes in the writing. 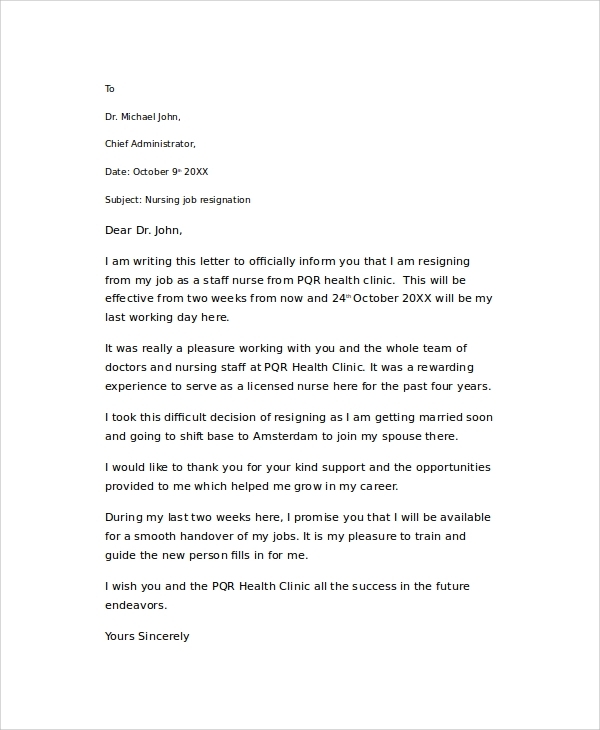 The nursing job resignation letter is what you would use to resign from your nursing job, and this is one of the most standard resignation letter formats that a person serving in any job role related to nursing may use. 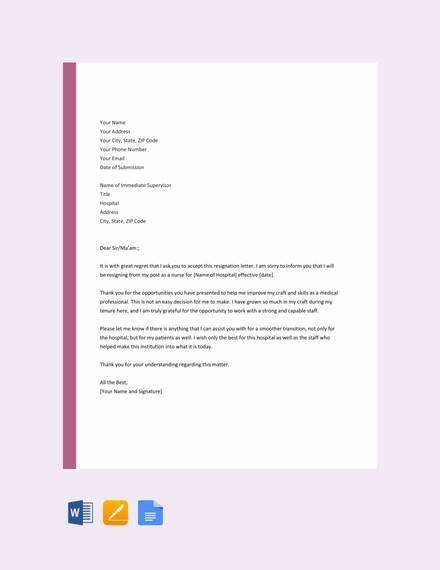 The formal resignation letter format, which is the most general and basic one, you would need for resigning from your nursing job is here. You may use the format and customize with small details for you to get it ready. 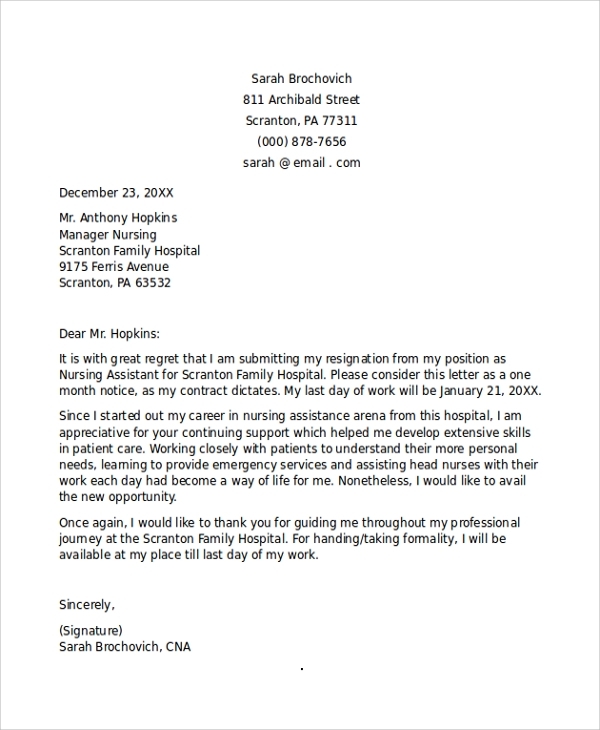 What is a Nursing Resignation Letter Sample? 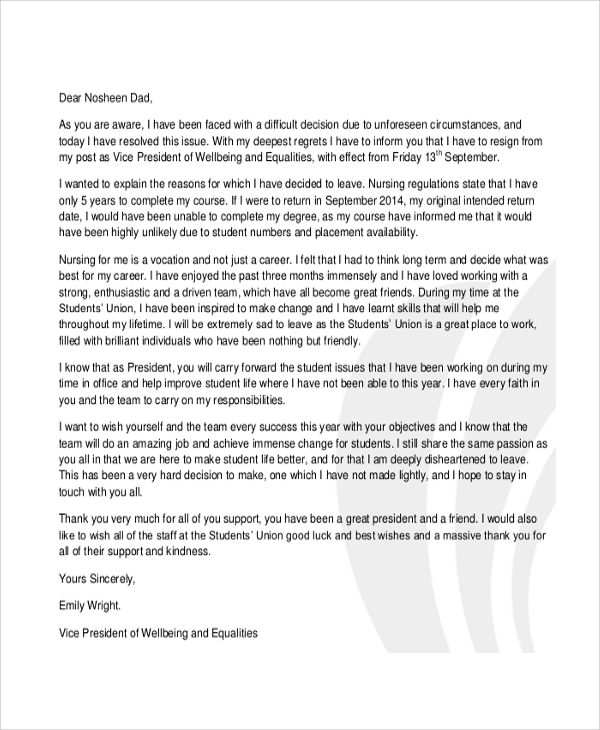 The Nursing Resignation Letter is what a nurse would use to resign from the job. A nurse may be working in any nursing position in a hospital, day care, nursing home, clinic etc. in junior, senior, or apprentice or trainer position. Therefore, the letter when written has to have a reference to fill in the details of the nurse, the position, the addressing of the organization properly and finally the notice period served if any. Any financial settlements required may also be requested through the same letter. 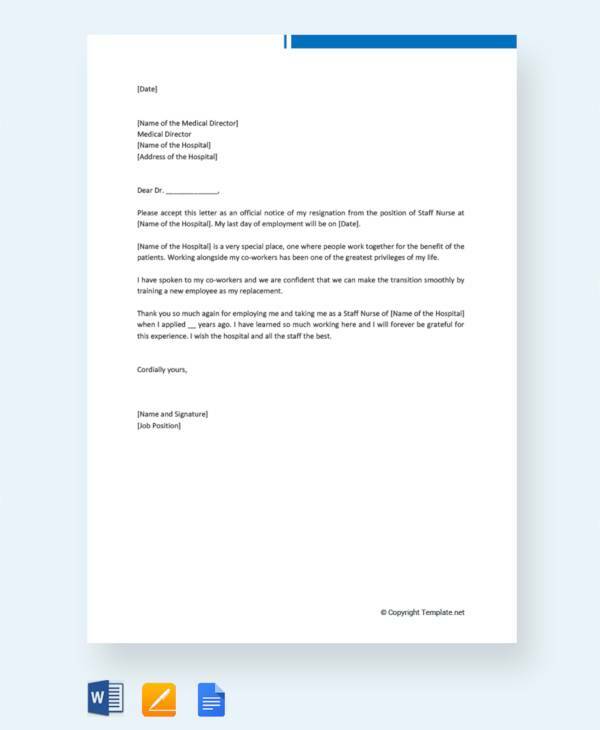 Now, that is what makes the standard general format of a nursing resignation letter which are available in a few styles as samples online. 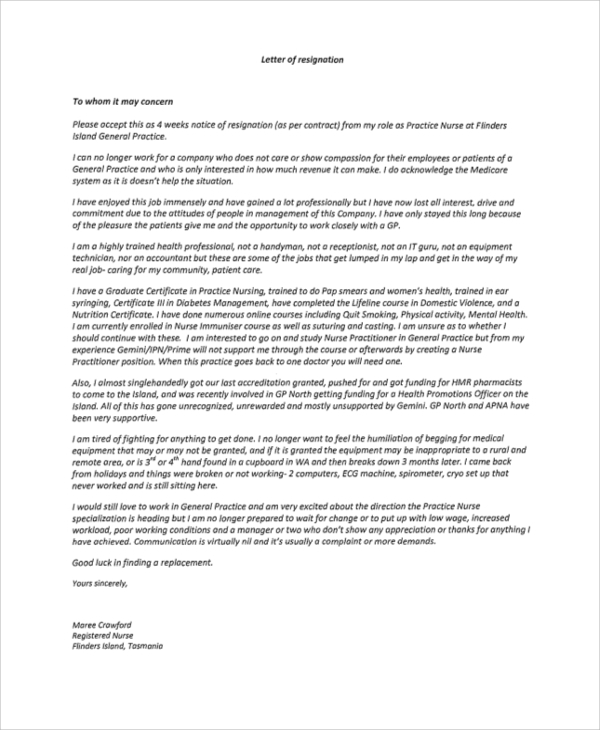 What are the Benefits of using a Nursing Resignation Letter Sample? The benefits of using the nursing Resignation Letters are many. The main benefit is the availability of a reliable and standard official format. You would know that when you use the same resignation letter format, you are close to perfecting the framing of the letter provided you present your particulars correctly. 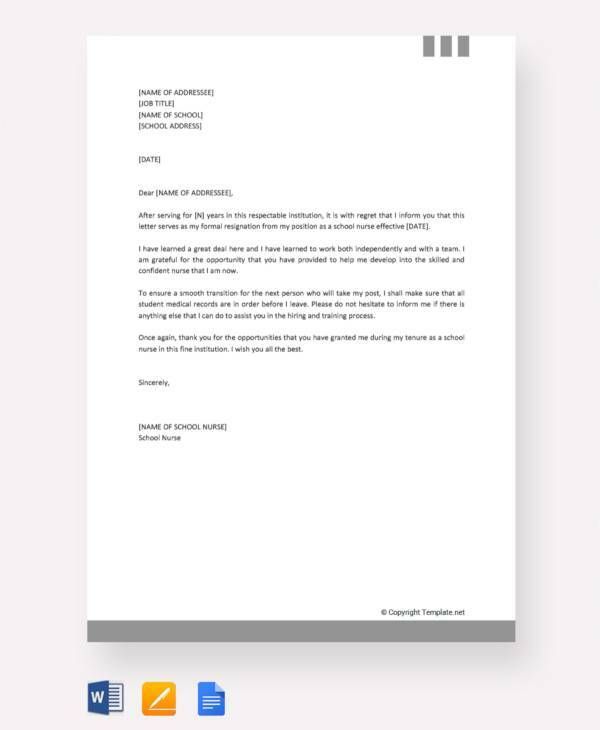 As you may not be much of an expert in letter writing, and all of a sudden the requirement to write a resignation may actually make you feel nervous, thus these formats are of special help, and you can save some effort and time too, which you would have had wasted in drafting various styles. 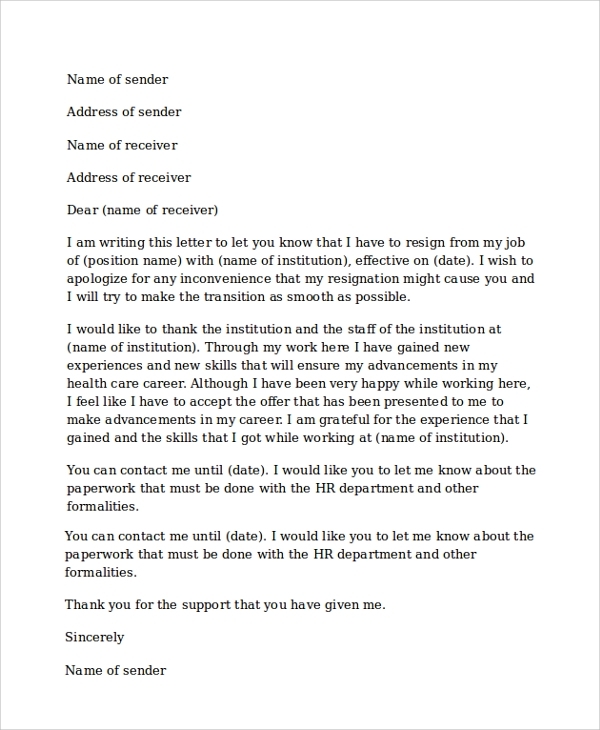 A simple way to use the Resignation Letter Format is to download them, read and write something similar, or you may improvise on it as you customize several aspects in the letter. This way also you may workout to design a perfect letter. Any method you opt for, you are bound to get great results. Complete the resignation letter creation sooner in order to concentrate on other important jobs that are required after the resignation. To start making your nursing resignation letter, you must start with a basic resignation letter sample, and work on it to add details. Soon your resignation letter will be ready in a flawless official format, that you would be confident about. The letter formats are free to download, and you get them in most popular MS Word and PDF formats.